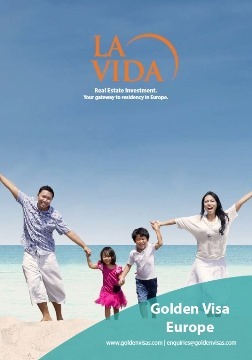 La Vida Spain offers a range of property suitable for qualifying for the Spanish investor visa. If you need visa advice or wish to look at the property options available then our experienced staff can help. Please contact us through the form below visit our golden visas website dedicated to residency visa property in Spain or call our main office on +44 207 060 1475. I have a question about the Spanish CItizenship by Investment scheme. Do I have to have an offer accepted for a property in Spain before I apply for the investment visa? And what if, for some unforeseen reason, the Spanish government does not accept my application – would I have to forfeit the deposit I would have put down for the property? Yes, you have to have the property in mind and you need to have paid a minimum €500,000 towards the property. There is never a problem with the residency visa applications provided you have a clean criminal record. Please note that it is a residency visa programme and not a citizenship programme. Citizenship runs as a separate scheme and you can apply once you have lived in Spain for 10 years. My boyfriend a dual national (Egyptian and English national) made the property investments using his English passport. Since the requirement is that he needs to be a non EU citizen; is it possible to apply or make the property using the Egyptian passport? The scheme is for non EU citizens. Even if he holds a second passport he is still an EU citizen. So possibly not but if you were interested in looking deeper we would get our lawyers involved. Please get in touch through our main website http://www.goldenvisas.com if you would like to engage us for further advice. Bear in mind any property purchase has to be since the programme was launched in 2013. Does the cost of improvements (renovation) qualify for the 500k euro threshold in Spain? For example, a 430k euro purchase + 100k euro renovation, proven via receipts and invoices. Same question for Portugal. Also, if the 183 days/yr residence (and tax status) requirement is not satisfied in every year after acquiring the Golden Visa (and there is no interest in acquiring Spanish permanent residency or citizenship), what are the requirements for maintaining the GV status indefinitely (prevent its expiration)? How long can a US citizen reside (not work) in Spain (each year) without a GV or a permanent residency? No, property renovations would not qualify for the €500,000 golden visa limit. After 5 years renewal is every 5 years but you need to retain the property. Without the golden visa I believe the stay requirement on a visitor visa is 3 months.